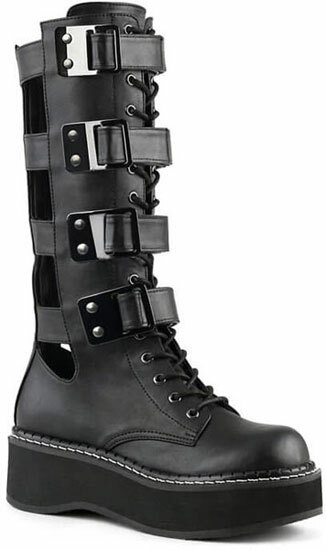 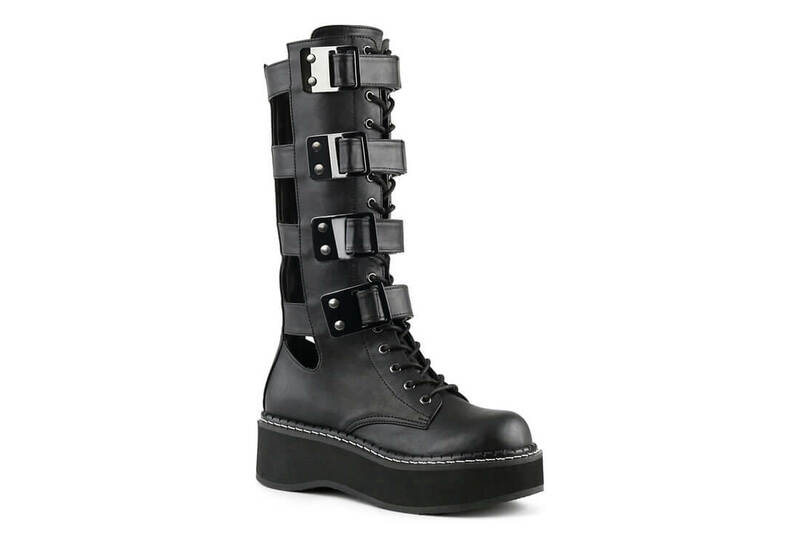 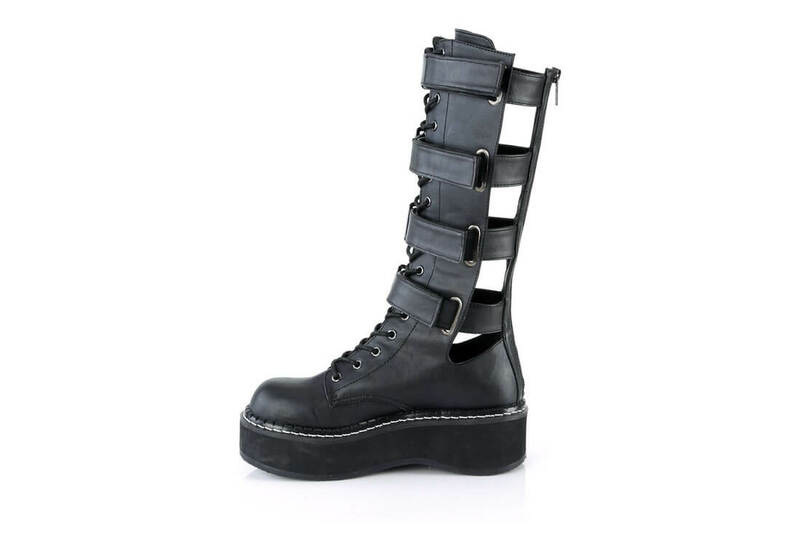 A very cool pair of boots, the Emily-359 has four Velcro straps with metal buckles. 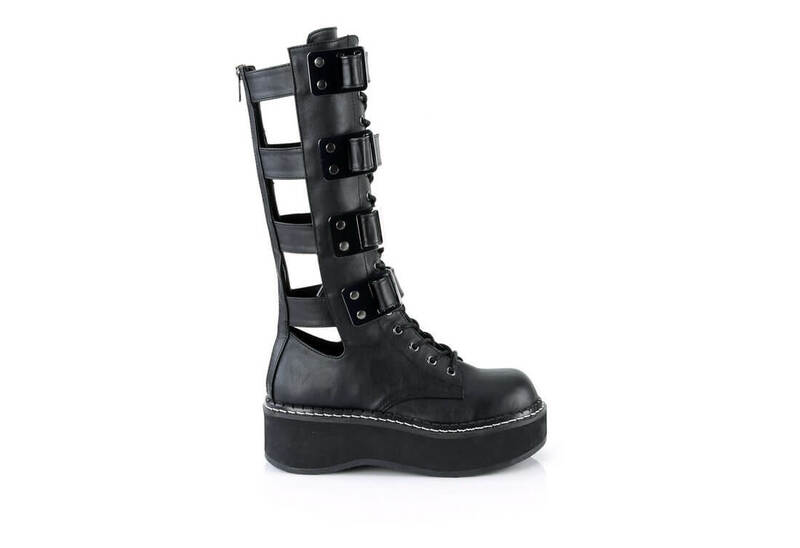 The sides have a cut out all the way down to the ankle. 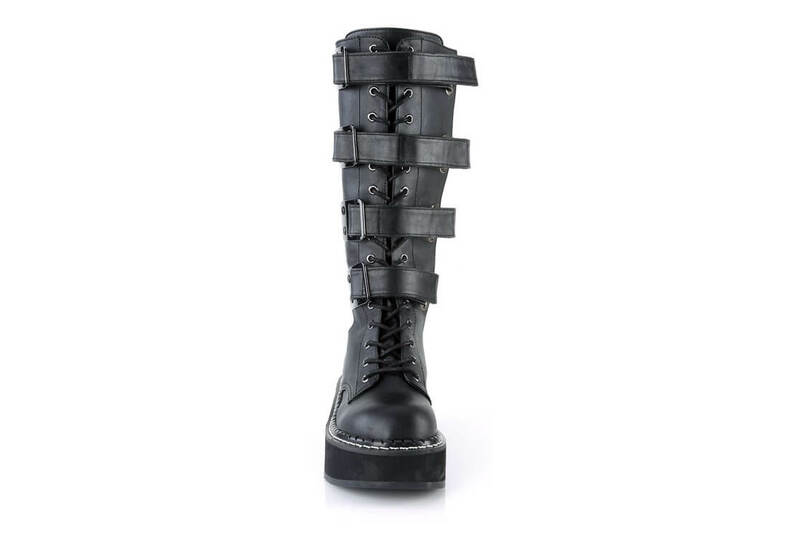 These boots look great with colorful socks or leggings. 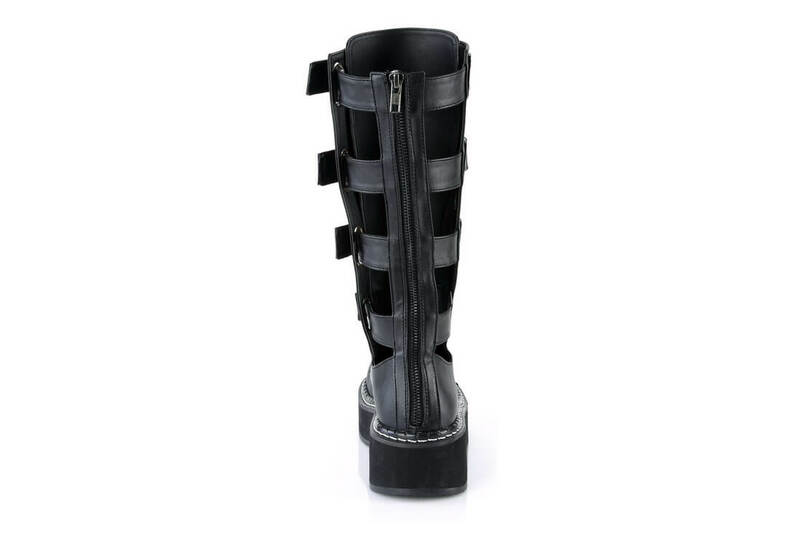 Comes with a 2 inch platform and a back metal zip closure.